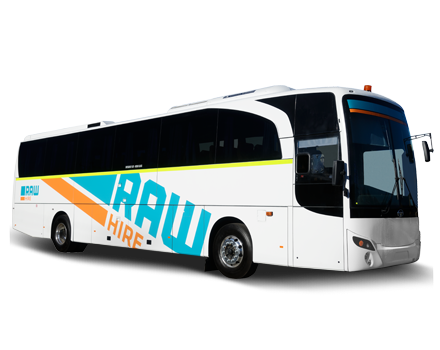 Raw Hire offers a large range of buses for hire, ranging from the 12 seat minibus to a 57 seat custom built bus. Available for long term rental, these buses can solve your people moving issue. 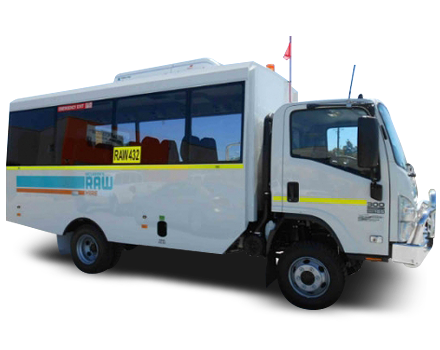 Buses can be equipped for mine site use and are available in Karratha, Welshpool or can be mobilised Australia wide, subject to availability. 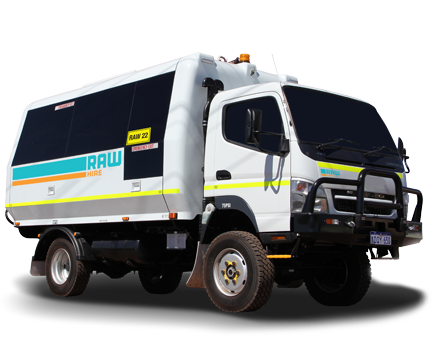 Just ask a Raw Hire staff member for site specifications at your enquiry. 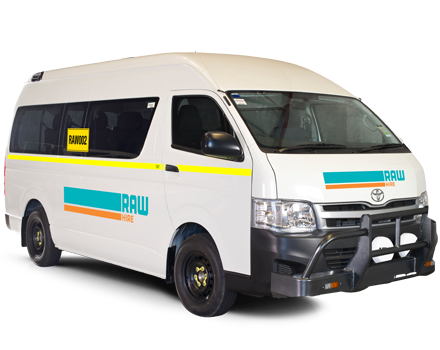 Drivable on a standard car licence, this 12 seat Hiace bus is the answer to your next task. With a sliding side door for accessibility and super long wheel base for incredible interior space, the bus also comes with the ease and comfort of driving a sedan. The 21 seat 4WD Isuzu NPR 300 comes with all the advantages of safety and practicality in a people commuter, with the added benefit of accessibility onto sites, with option to add mine specification. 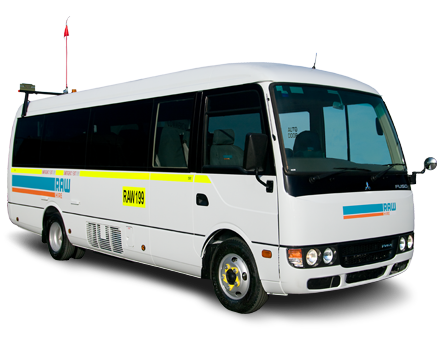 A luxurious ride for up to twenty-one people, this bus comes with wide aisles, central lockng and the battery isolator. All the reputation of a Toyota is demonstrated in the 21 seat Coaster bus for rental. The safety extras of ABS brakes, 4.0L turbo diesel engine for acceleration, and four emergency exit points. The power behind the bus allows for a smooth ride, even with a full passenger load. 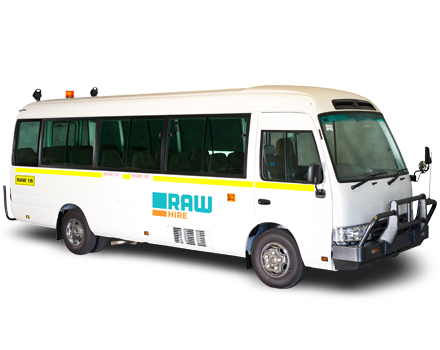 Custom-built for Raw Hire matching high safety standards and vehicle specifications, this Daewoo bus is the key to comfort and power when you need to transport over 50 passengers.